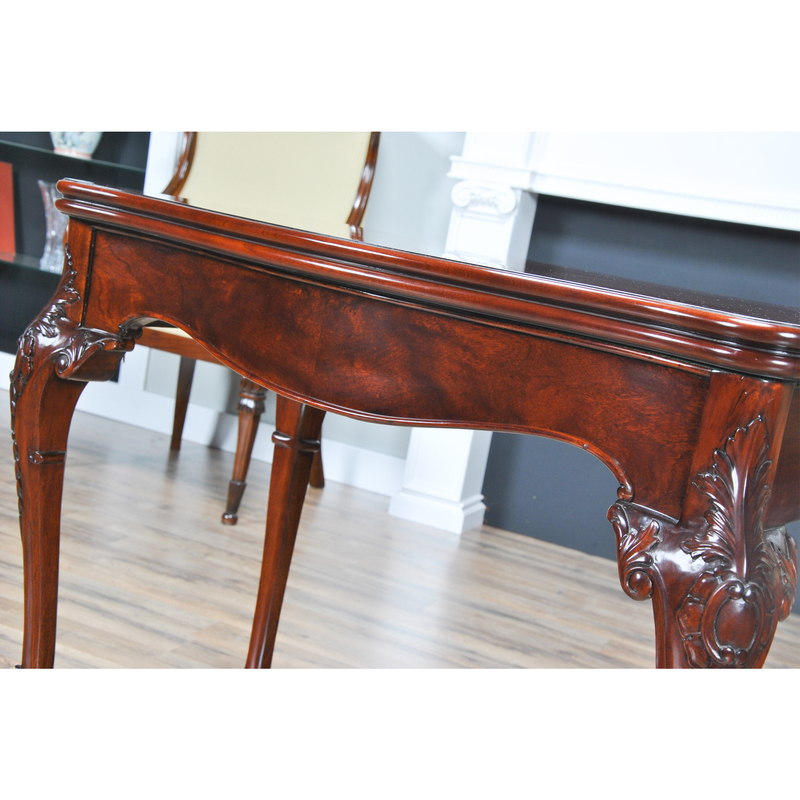 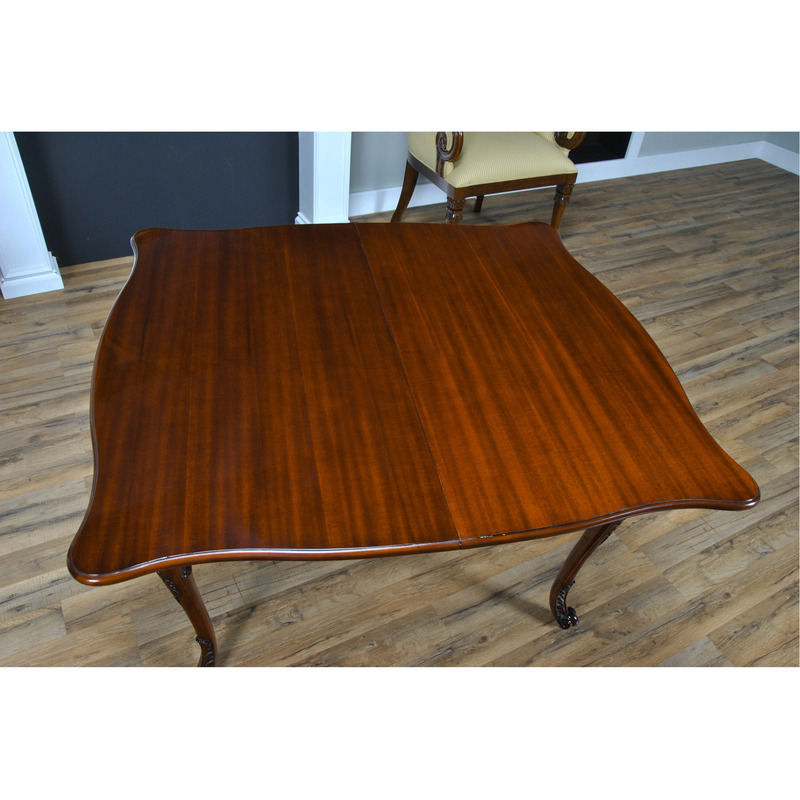 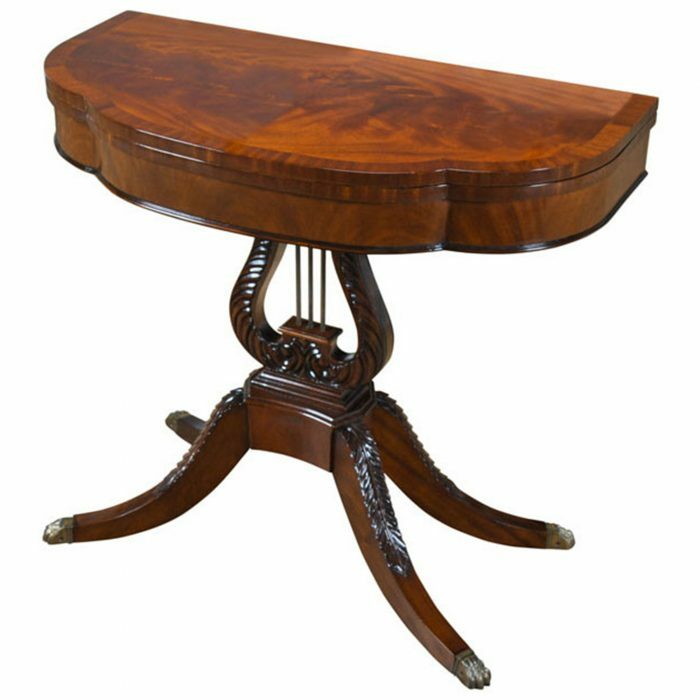 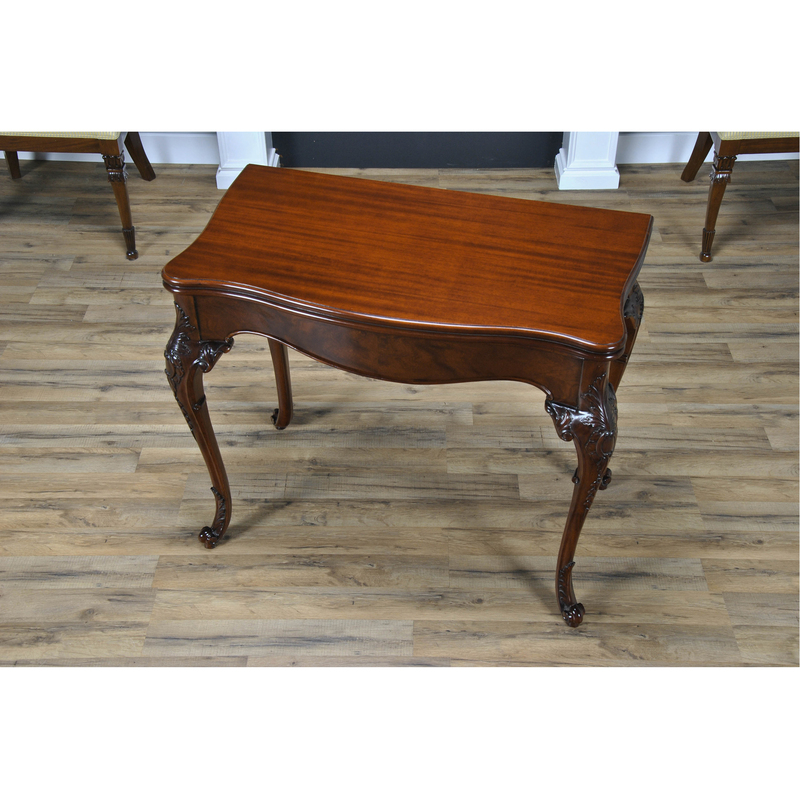 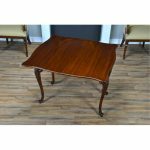 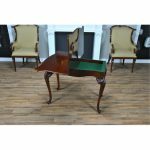 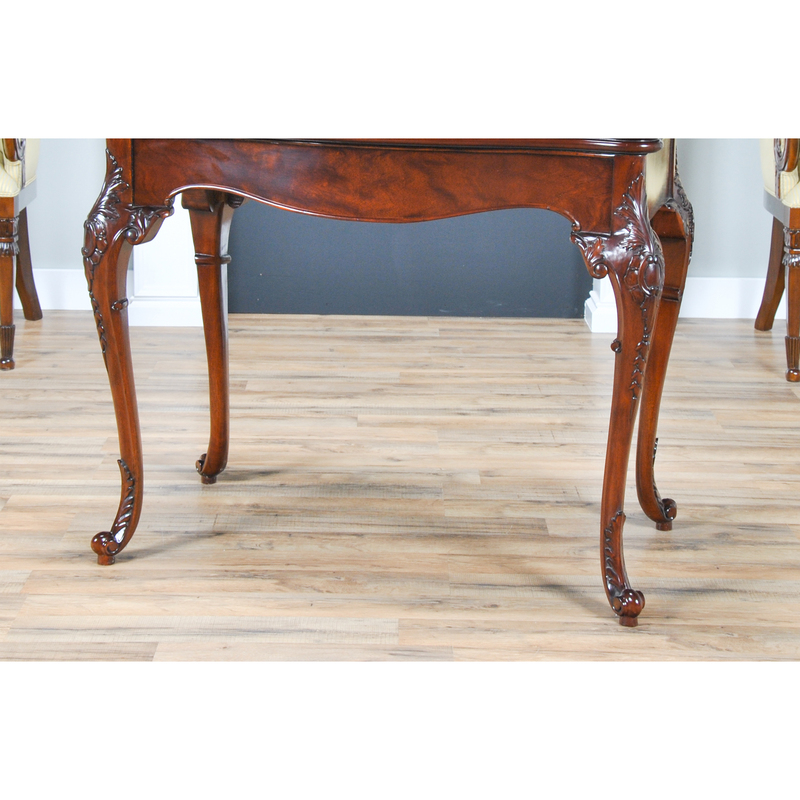 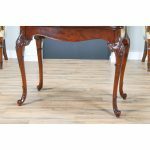 This large Mahogany French Game Table from Niagara Furniture has a serpentine shaped top with fine quality mahogany grain and a crisply molded edge. 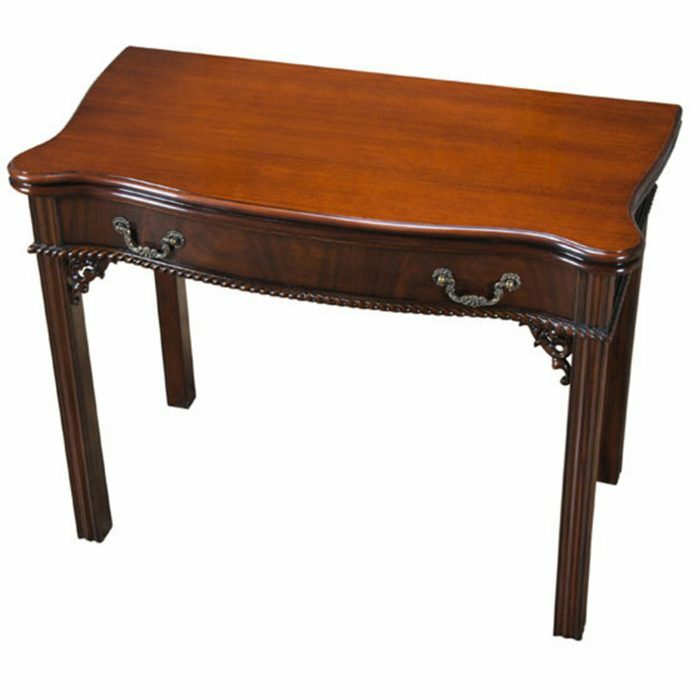 Designed after an antique original our reproduction Mahogany French Game Table has all of the features that made the old ones so desirable. 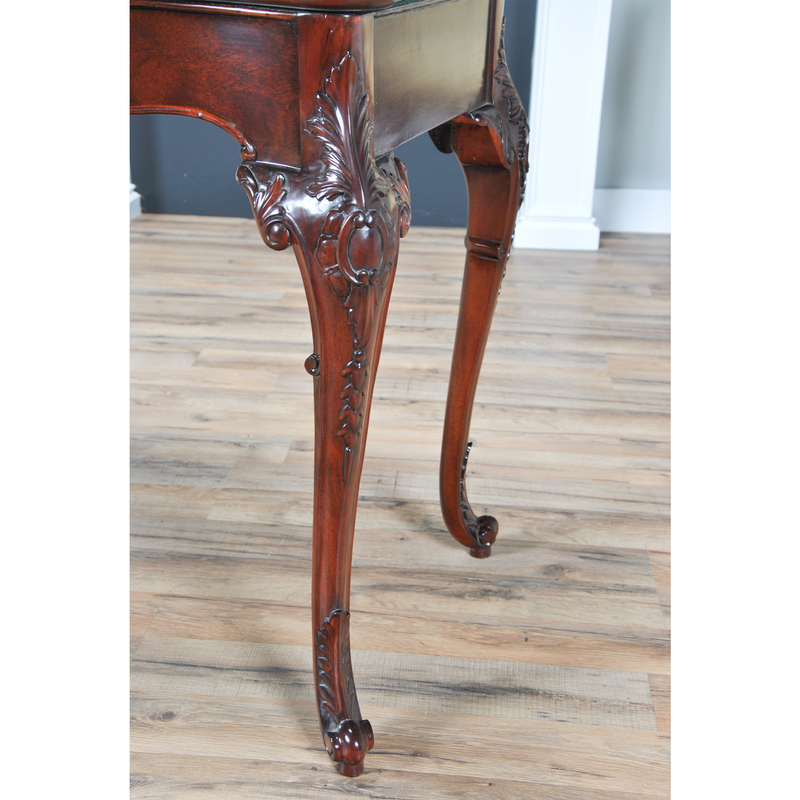 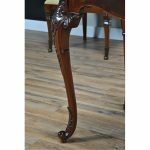 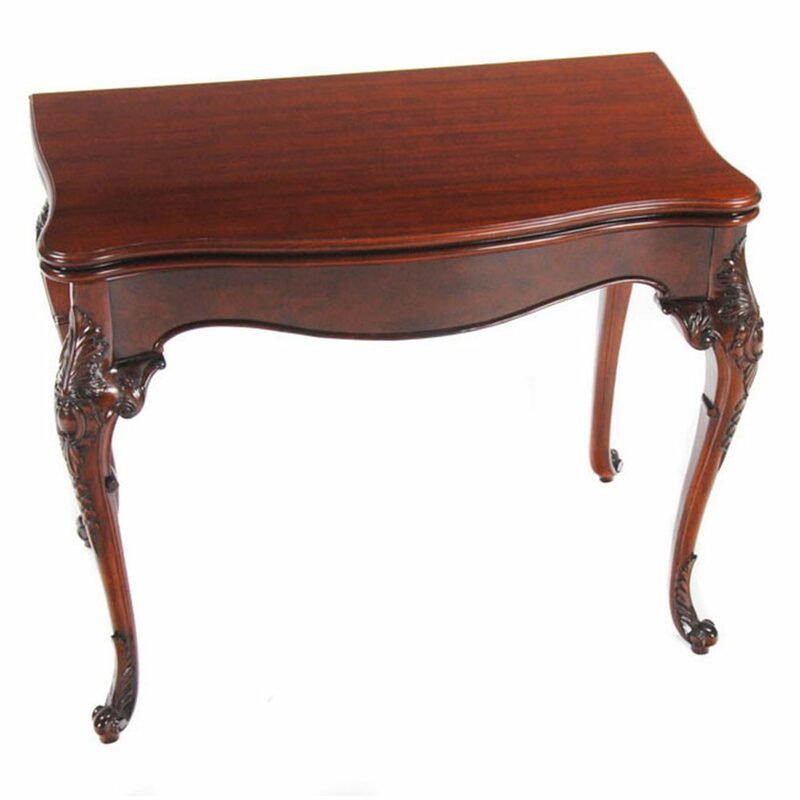 The figural mahogany frieze over top high quality rococo style carved legs in cabriole form. 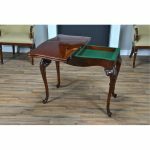 The entire top section can be rotated on a pivot and opened to reveal a green felt lined storage space to the interior. 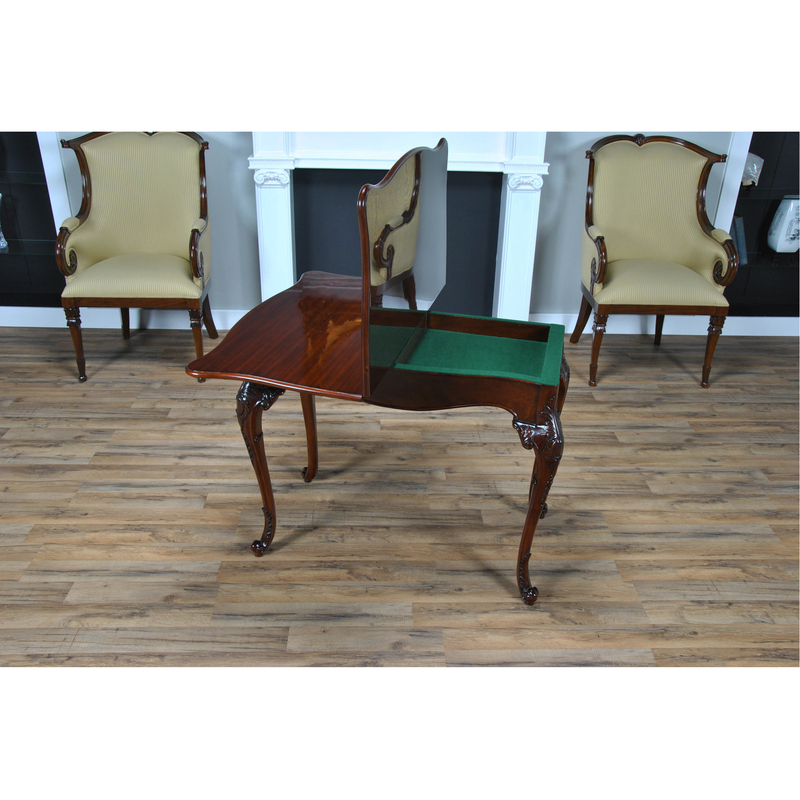 With the accordion top folded open on the table frame a large gaming or eating surface can be created. 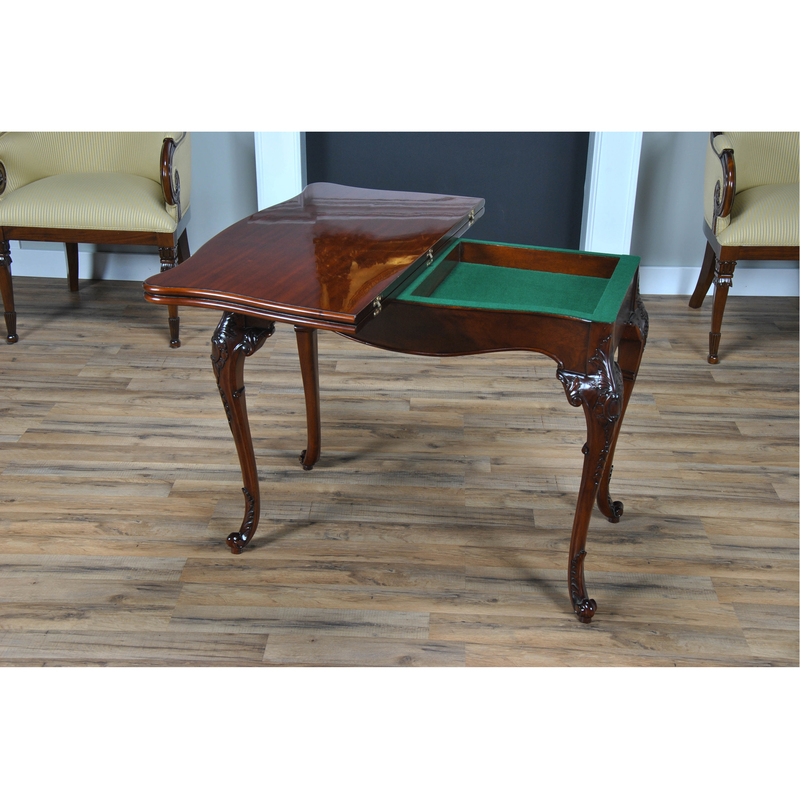 A green felt interior space suitable for storing small objects.